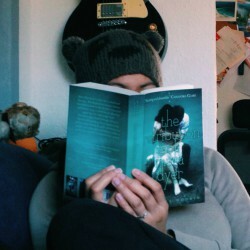 This is the second book of Divergent trilogy by Veroncia Roth and it's advisable to read the first book before reading this one and this review. Insurgent begins directly after where Divergent ended and it was cool because I don't have to remind myself again or reread the first book. (My memory sometimes let me down.) In this book, we get to learn more about the other factions including the Factionless. Here, Tris is broken and deeply traumatized with her parents death and at the same time, guilty of Will's death. She became too risky and vulnerable which made her do some terrible decisions. Meanwhile, Four gets over protective most of the time to Tris which is understandable because he really cares for her. This book don't have a lot of Tris-Four moments and I know that romance is not really the main focus of this novel so it's okay. No love triangle (which is common to this kind of novel, i think) so far but they argue most of the time. I have problems remembering names and this book has a lot of new minor and major characters. I'm not sure if it's good or bad but it's just too much for me. Your opinion about the characters can also change through the story like with me, I started to like Peter and hate Caleb. I can say that i like Divergent more than this but don't get me wrong. 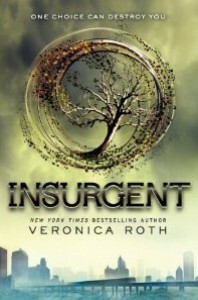 Insurgent is more action packed and contains more surprises, twists and a cliffhanger ending.